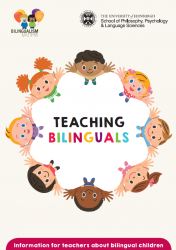 This section contains useful research, tips,resources and links for teaching bilingual pupils. Graphic organisers are also sometimes known as key visuals. They are great for EAL learners because they provide them with an opportunity to access curriculum content and they support the development of academic language. Graphic organisers provide a means whereby learners can organise their thinking, before going on to express their thoughts in English. Bristol Secondary Schools EAL Induction Pack – an excellent resource containing a variety of information and resources including an EAL Curriculum pack with resources covering General basic and school vocabulary and subject-specific resources. Eal Strategies – This website, authored by a former EAL teacher from the London Borough of Brent, contains a wealth of resources to be used by teachers and managers to support EAL pupils. FAQS Podcasts from NALDIC “covering typical questions related to catering for the needs of EAL learners.” NALDIC is the National Association for Language Development in the Curriculum and is the national subject association for EAL.